Maltese cable operator Melita has teamed up with technology outfit Plume to launch Stellar WiFi, powered by Plume, a new service bundle that provides two Plume SuperPods, devices that fit fit into electrical wall outlets to spread the internet from the modem to all areas of the home, at optimal performance, according to the company. Stellar WiFi includes two SuperPods, and customers can add more to extend coverage. Plume’s adaptive WiFi technology is designed to fill homes with the strongest signal, whiel. HomePass guest access allows members to personalize who gets onto their WiFi networks, for how long, and what they can do. Advanced parental controls enable parents to control when and what services their children have access to. “Over the past two years, Melita has dedicated itself to deliver the best possible customer satisfaction. As part of this strategy, we have also built the most powerful network in Europe. 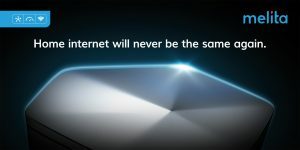 This includes the launch of gigabit home internet – GigaPower – which is now available to more than 75% of homes in Malta and will be available nationwide in the first quarter of next year. As of today, we are able to offer the exceptional home internet experience to our customers that comes with GigaPower 1000 Mbps and Stellar WiFi – all for only €49.99 per month. This is possible thanks to our partnership with Plume,” said Harald Rösch, CEO of Melita.